“I think careers are a 20th Century invention and I don’t want one. You don’t need to worry about me; I have a college education. I’m not destitute. I’m living like this by choice”. Roberto Cazzolla Gatti, Ph.D. is an Associate Professor at the Department of Ichthyology and Hydrobiology and the Head and Scientific coordinator of the Master’s Degree (MSc) in Biodiversity at the Biological Institute of Tomsk State University, in Russia. Moreover, he serves as a Research Associate at the Department of Forestry and Natural Resources of Purdue University, in the USA. His research occurs at the interface between Evolution, Ecology, and Ethology. He is specialized in Biodiversity (with applications in Conservation Biology), Eco-physiology of animals and plants (with applications in Climate Change Biology), and Theoretical/Experimental Ecology (with applications in Ethology and Evolution). He also works as a freelance documentary photographer and wildlife filmmaker. He coordinates geographic and scientific explorations of some of the most remote places on Earth. He studied at a Science High School and then graduated in Biology (Bachelor’s Degree, BSc), defending a thesis in Marine Ecology (“Demersal Mediterranean marine resources monitoring”), and in Environmental and evolutionary biology (Master’s Degree, MSc) at the University of Bari, Italy, defending a thesis in Zoology and Anthropology (“Primate visual system and stereopsis”). He holds a PhD in Forest Ecology earned at the University of Tuscia in Viterbo, studying the tropical forests of Africa and their biodiversity (PhD in Tropical Forest Ecology), defending a thesis titled “The anthropogenic impacts on tropical forest ecology and dynamics”. He also holds with Hons a II Level Master’s Degree in International Policies and Global Environmental Protection earned at the Tuscia University in collaboration with the Italian Ministry of the Environment, defending a thesis on “Africa: biodiversity and climate change”. He attended the School of “Biodiversity and Ecosystem Services” at the Potsdam Institute for Climate Impact Research (PIK), Germany with an internship in Peyresq, Alpes de Haute-Provence, France. He conducted research for two years, as a post-doc in tropical ecology and biodiversity, at the Impacts on Agriculture, Forestry and Natural Terrestrial Ecosystems Division (IAFENT) of the Euro-Mediterranean Centre for Climate Change (CMCC)-University of Tuscia (Viterbo, Italy). He has been conducting 6 years of field research in Sierra Leone, Ghana, Gabon, Cameroon, Central African Republic, India, Indonesia, Serbia, Australia, Russia, and Mongolia. He collaborates as an ecoguide and video-photographic consultant with the “Fondation Italo-Gabonese pour l’Ecoturism” (FIGET). At the beginning of 2015, under a FIGET program, he walked for 150 km in the unexplored part of the Ivindo National Park in Gabon to raise awareness of its delicate and unique ecosystems and document the incredible wildlife hosted in the park and their fragility to human activities. He wrote and published several guidebooks, a novel-essay book, an academic textbook, and three photographic books. He collaborates with the University of Calcutta, India, for research studies on biodiversity and ecosystems ecotoxicity of the Sundarbans mangroves. He has been leading groups of university students in tropical forests of Africa for 3 years to supervise their thesis data collection and analyses. He has been co-supervisor of two bachelor’s degree thesis on the ecology and biodiversity of the tropical forest of Africa at the Tuscia University, Italy and a Ph.D. thesis on Sundarbans mangroves at the University of Calcutta, India. For four years he has been an environmental advisor at the FAO (Food and Agriculture Organization of the United Nation, Department of Natural Resources, Water and Earth), and for many years consultant of the WWF Italy. He is a member of the CEM (Commission on Ecosystem Management), SSC (Species Survival Commission) and the WCPA (World Commission on Protected Areas) of the IUCN (The International Union for Conservation of Nature). For IUCN he is also the co-team leader of to the Climate Change Adaptation Group, with which – in November 2010 – he published a book titled “Building resilience to climate change: case -studies and lessons from the fields”, IUCN, 2010 Special Series. He is a member of the Global Forest Biodiversity Initiative (GFBI). He coordinated for five years with the WWF and the State Forestry Corps in Italy, as a biologist, the recovery and first aid of wildlife in trouble for wildlife rehabilitation centers (CRAS) of Puglia and he was guards in antipoaching patrols on the Ischia island and in Puglia. Since 2014, he serves as the scientific director of 3 WWF protected areas in Southern Italy. In 2007, he worked in the WWF Protected Area “Le Cesine” in Lecce on fire monitoring and the study of the dunal-saltwater ecosystem. In 2008, he worked at the Center for sea turtle recovery of the CTS Brancaleone (RC) for the monitoring of nests, rehabilitation, and reintroduction of injured sea turtles, taking care of health in the containers and underwater accompaniment during the release. In 2009, he worked in Indonesia, at the recovery center “Cikananga Wildlife Center” on the island of Java, making studies of ethology (especially on orangutans), collaborating on forensics and autopsy on rare Java leopards found injured or killed and paying attention to the rehabilitation of wounded animals (orangutans, langurs, gibbons, moon bears,leopards, crocodiles, birds of prey, etc.). He conceived, after participating in a university research sea campaign for the project MEDIT (Mediterranean marine resources monitoring at the University of Bari), a system for 3D biometric laser measuring of ichthyofauna named “Tredifish”, which avoids the capture and killing of fish and can be used in scientific studies of morphometrics and population dynamics. Once he spends some time in Italy, he teaches Ecology, Biodiversity, and Bioethics at several educational and research institutions of Puglia and Lazio. He offers consultancy for technical and scientific tables on alternative methods to animal testing in the field of ecotoxicology and biomedicine and he is testing for the research consortium “Digamma”, the stereoscopic system of the platform “Tredimed” (of which he funded the theoretical basis during his master’s degree thesis) designed for teaching surgical 3D to target students and to those graduating in medicine and surgery at the Policlinico di Bari. This experimental system allows learning surgical and microsurgical techniques directly on human patients during surgery, avoiding the use of laboratory animals. He collaborated, as a journalist, with some Italian newspapers and magazines such as La Gazzetta del Mezzogiorno, Il Giornale del Territorio, Il Levante, La Piazza e La Rivista della Natura. In 2015, he collaborated with the Italian magazine BioEcoGeo. Since 2017, he collaborates with the naturalistic magazine In Natura. From 2004 to 2007, he directed the magazine on environment and human rights “Controcorrente”. Since 2010, he writes articles on scientific issues for the journal Villaggio Globale, for which he writes a column entitled “The Ecological Network” and in 2014 he became scientific director of the quarterly magazine. He is Editorial Advisory Board member of the scientific journal Ecological Modelling. After 4 years of research in the field, in 2010, he published the book “Environments, flora and fauna of the Murgia of the southeast. Nature trips between Bari and Taranto” published by Adda Editore, Bari. Vegetarian and promoter of the union of economics and ecological sciences, in 2011 he founded the Society for the Economological Studies, for which he served up to 2015 as the editor-in-chief of the scientific international journal “Economology Journal”. He published several papers in international scientific journals, including some articles which received international scientific interest on the autocatalytic nature of biodiversity, on the ecological niche theory, on animal self-awareness, on the fractal dimension of the latitudinal gradient of biodiversity, on the endosymbiotic origin and the autocatalytic nature of biodiversity, and on the global patterns of human development and environmental protection. He has also published textbooks on environmental education for primary and secondary schools such as: “We make trees from your wastes…”, WWF Ed., 2003; “We work for the environment,” Amb. Ed., 2004; and “At the school of ecology,” Amb. Ed., 2005. To conduct his research studies he travels widely in tropical areas and in particular in the countries of sub-Saharan Africa, where he spends months studying ecology, biodiversity and the impact of human activity on ecosystems. These travels, the encounters with indigenous people and the life in the wild, inspired him to write the novel-essay “The Paradox of Civilization” published by Adda Editore in 2013 and already in its second edition. In 2014 he published with LibreriaUniversitaria.it Editions, an academic textbook for students, teachers, and researchers on the study and analysis of biodiversity entitled “Biodiversity in theory and in practice.” This book, besides a practical approach to collect samples, estimate indices, calculate statistics and realize graphs and plots, provides the first formulation of new author’s theories on biological diversity evolution and patterns. In 2017, he published an academic textbook in Russian entitled “Biodiversity: theoretical basis” (“Биоразнообразие: теоретические основы”; VG Ed.). In 2018, he published a new academic book in English entitled “Biodiversity in Time and Space” (352 pp., Nova Science Publishers, New York). 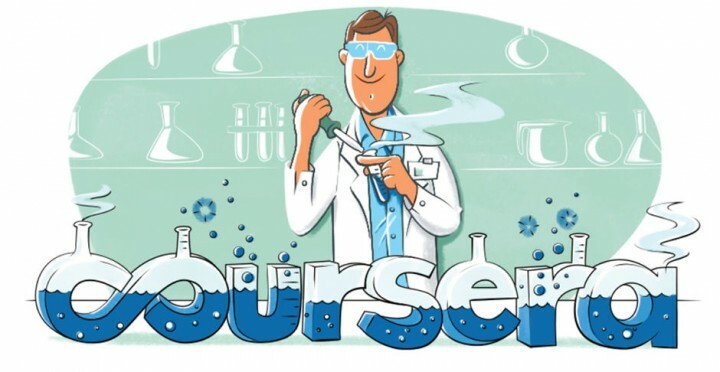 His free e-learning academic course in Ecology and Biodiversity are available on the Coursera platform. He was recently quoted in the book “Beyond the barbed wire of Green Hill. The vivisection still exists. 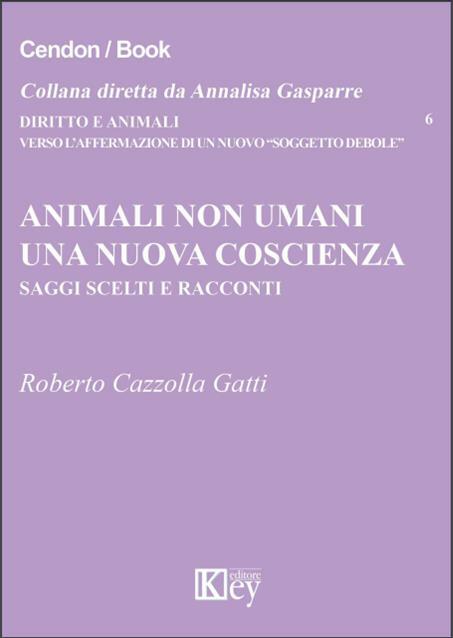 Why and how to overcome it” (G. Felicetti & M. Kuan, Sonda Editions, 2014), within “the internationally renowned researchers” who oppose animal testing. He was also quoted by the well-known ethologist Marc Bekoff in the book “Canine confidential” for his pioneering study on the conscience of dogs and his innovative olfactory test for self-awareness in animals that do not respond to the visual mirror test.